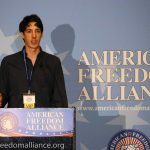 It is impossible to imagine a Leftist speaker being besieged in such a way; their determination to silence any dissenting voice is only getting stronger, and it is for such reasons that AFA celebrates our Heroes of Conscience. 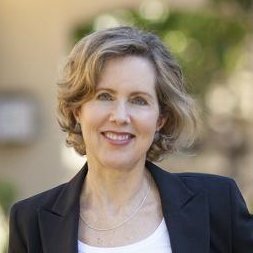 It is also why we are particularly proud of having Heather Mac Donald keynote this event. Heather Mac Donald is the Thomas W. Smith Fellow at the Manhattan Institute and a contributing editor of City Journal. She is a recipient of the 2005 Bradley Prize. Mac Donald’s work at City Journal has covered a range of topics, including higher education, immigration, policing, homelessness and homeless advocacy, criminal-justice reform, and race relations. Her writing has appeared in the Wall Street Journal, Washington Post, New York Times, Los Angeles Times, The New Republic, and The New Criterion. Mac Donald’s book, The War on Cops (2016), warns that raced-based attacks on the criminal-justice system, from the White House on down, are eroding the authority of law and putting lives at risk. She also has a new book, The Diversity Delusion, due for release in September. A lawyer by training, Mac Donald clerked for the Honorable Stephen Reinhardt, U.S. Court of Appeals for the Ninth Circuit, and was an attorney-advisor in the Office of the General Counsel of the U.S. Environmental Protection Agency and a volunteer with the Natural Resources Defense Council. 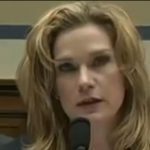 She has testified before numerous U.S. House and Senate Committees. In 1998, Mac Donald was appointed to Mayor Rudolph Giuliani’s task force on the City University of New York. In 2004, she received the Civilian Valor Award from the New Jersey State Law Enforcement Officers. In 2008, Mac Donald received the Integrity in Journalism Award from the New York State Shields, as well as the Eugene Katz Award for Excellence in the Coverage of Immigration from the Center for Immigration Studies. In 2012, she received the Quill & Badge Award for Excellence in Communication from the International Union of Police Associations. 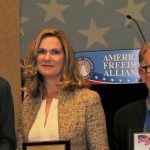 In 2016, she received the Excellence in Media Award from the National Police Defense Foundation’s State Troopers Coalition. Join our dinner and hear more from this courageous and brilliant truth-teller.